They say that it has all gone digital. If you want to get the books you can also go online and buy the books in physical as well as virtual form as e-books. Buying books online is simple as long as you have a credit card that allows you to make purchases online. Now that you want to make purchase where does one head? 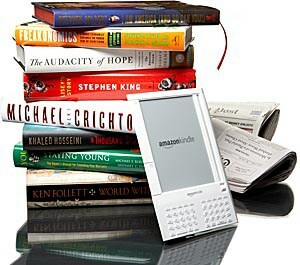 The biggest name in books online is Amazon.com which allows you to buy a large variety as long as you have a credit card which can make Internet purchases. What about the ones who want to use companies with a a more local focus of books? For those who want to buy books in Nigeria there is a brilliant post you can find here. For the rest of us here are a few options to look for books for purchases. Some aren’t very good for buying books but they give an opportunity for authors to sell their books. OLX has branded itself as the biggest marketplace for Kenyan products with a marketing blitz on all media. If you haven’t heard of OLX you have not been sampling any media content in Kenya in the last year truth be told. So when you visit the site you would expect to find books on there. The first search I made online was for books. The first books I saw there were in actual fact portable computers; HP Pavilion Sleekbook, PowerBook G4 Apple laptop, HP Pro book there were a few others but very few books in the sense of the written word. There was one listing of three novels by Booker Prize winning novelist Margaret Atwood at 150 which allowed me to realise that there was a Books-CDs-DVDs section in the site which I immediately clicked to. Here I found three pages of several types of books including Pulitzer winner John Updike at 150 again and Nurruddin Farah by a user called LitFan who seems to list all the really good stuff, a recipe book, a dictionary and other such books. The selection of books leave a lot to be desired and I wouldn’t recommend it for a person looking for books regularly. There are some bargains like Noviolet Bulawayo at Kshs500 in there if you want to look but I doubt if you will get too many of your favourite books. If you are an author looking to sell your book this is not a bad place to place your titles as it is heavily advertised in Kenyan media. The payment is between the seller and buyer. The Text Book Centre is the biggest book store chain in Kenya with seven branches around the country. To buy their books you can visit the company’s website where you can have your book delivered as long as it is costs more than Kshs1,000. This shouldn’t be too difficult seeing as many books cost around that figure when new in this town. So you just go on there and click in a book like say Taiye Selasie’s Ghana Must Go then add to cart then fill out the form and make your payment and wait for your book. The advantage here is that they have quite a large variety of books our friends at Text Book Centre. For those who would be bothered filling their house with books then Text Book Centre allows you to download E-Books at their E-Kitabu portal. The books on there as far as I can see are quite diverse; academics, art and architecture, biographies and memories, health and fitness etc. Also in there is a literary fiction section with books such as… OK I didn’t seem to be seeing any books by Africans on the first page which really upsets me. They say that that there are on there so there must be Africans in the catalogue. Wait, Chimamanda Adichie’s Half of a Yellow Sun on page 2 at Kshs1,230; breaaaathe. Great for buying. For selling your book you have to go through the company to have your book listed. Typically the margins for books are 30% by the book seller and the government taking 30% of list price. So when you list your book you are only going home with 40% of list price which explains why so many books retail at above Kshs1,000 in this town. You can buy using Mpesa as well as credit card in this case. Ides is an online bookstore that is uniquely tailored to meet all your specific paperbacks reading needs. Our catalogue stretches from the latest releases from the world of books to the beloved classics from the Golden Age, all of which promise to give you a thrilling reading experience like no other. Their books are affordable and pocket friendly ensuring that you not only get a great reading experience from our books, but get value for your money too. The one year old website is one of the biggest online marketplaces in Kenya so you would expect to get quite a few books on there. Unfortunately, all that is categorized on there are travel and project management books. And its only the travel section that has books at the moment with guides to East Africa in there. The Nigerian version of Jumia is much better that its Kenyan counterpart as it have a large variety of books including biographies, business, finance and of course my favourite fiction. The only problem with that fiction section is that a search for your usual suspects like Jude Idibia, Chimamanda Adichie, Noviolet Bulawayo, Zukiswa Wanner, Aminatta Forna and the rest you get no returns. This is a website that is not talking to publishers clearly. The Kenyan arm of Jumia is potentially very useful to book sellers as it doesn’t have too many books on there and the company has a lot of brand equity with advertising online. The buying/selling options are Mpesa and credit card. Ekitabu, Swahili for Ebook is a website which allow you to access many books at different prices. There is a section for free ebooks as well as a section dedicated to only Kenyan books. The free books are fourty in number and include Jane Austen’s Pride And Prejudice, H. G. Wells’ The Time Machine and Emily Brontë’s Wuthering Heights. The Kenyan book are 90 and a diverse group of book types from fiction like Stanley Gazemba The Stone Hills of Maragoli to motivational like David Waweru’s Champion and other non-fiction like Contemporary Psychiatry In Africa by David M. Ndetei, Christopher Szabo, S. Gichanga, E. Shitohi A. Muhindi. Unfortunately the list of books is not very exciting for the fiction fan. However you can search a few of the usual suspects in African literature aminatta forna, Chimamanda Adichie and Noviolet Bulawayo and you can find them too. For the potential author you will have to contact Ekitabu to get your book on their platform. Rugano Books, previously known as ‘The Magunga Bookstore’ is the brainchild of writer and critically acclaimed blogger Magunga Williams, who saw a space in the Kenyan literary scene for a bookstore that only sells books written by people of African descent. Favouring an online bookstore model, such as the type used by Amazon and The Guardian, he partnered with tech guru David Mabiria, the founder of Magazine Reel (an online campus magazine) to build the website in December 2015, and then with writer Abigail Arunga for assistance with operations, logistics, customer service and social media. This team of three are the ones behind the day-to- day running and long-term strategic planning for this intercontinental organization. Update: A previous version of this blog had Rupu.co.ke and Kalahari.com as options to buy books. Both have since been discontinued thus we have added two different bookshops in their stead.